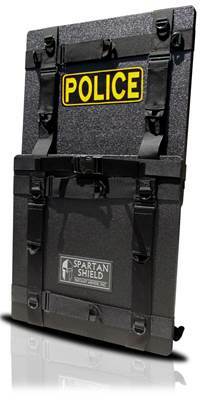 Designed and intended for First Responders, the Spartan Shield is a 2-piece, lightweight, rigid, ballistic shield that is deployed in under 5 seconds. 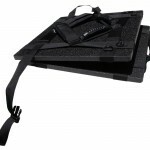 The Spartan Shield is designed to utilize all of the existing attachment straps that has made the Tactical Blanket Systems so versatile. 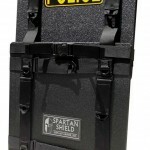 The Spartan Shield defeats High-Powered Rifle rounds and measures 19” wide by 32” tall when deployed. In the stored (folded) position it measures 19” by 18”. The Spartan Shield weighs only 16.3 pounds.